One-on-one Internet Marketing training program coaches REALTORS® on how to stand out from competitors through proven marketing strategies. Williams, a Kansas-based Keller Williams REALTOR®, was Z57 Academy’s 2000th graduate. Williams, a premier REALTOR® in Olathe, Kan., and surrounding areas, successfully completed Z57 Academy's 100 Series coursework and earned her ZPro Certification. Williams’ designation as a ZPro graduate identifies her as a leading agent with extensive marketing expertise. The National Association of REALTORS® estimates that 88% of home shoppers will use the internet to search for homes. The way REALTORS® do business has been heavily affected by consumer’s reliance on the internet. Many companies provide real estate websites and marketing tools to meet this need but lack training programs that teach individuals how to effectively generate marketing results online. Z57 Academy was created to fill that gap by teaching REALTORS® how to use their Z57 website and marketing tools to achieve the best possible results for their business. The Academy was first made available to real estate professionals in May 2011. Since then, real estate professionals who consistently implement the Z57 Academy program have seen tremendous results – receiving an impressive amount of website traffic and qualified leads. 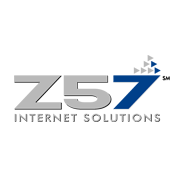 Clients enrolled in Z57 Academy are assigned to their own marketing coach, known as a ZPro Specialist, who guides them through the coursework with one-on-one instruction. Z57 Academy 100 series coursework focuses on social media strategies, marketing on craigslist, selling with single property websites, successfully integrating online and offline marketing and much more. Z57 Academy students receive upgrades to their website as they hit milestones in their coursework and have unlimited support from a highly-trained team of individuals dedicated to their success. Z57 Academy is a constantly evolving program – offering up-to-date training to real estate professionals looking to leverage the most current marketing strategies to grow their business.